Conduct a forensic 360-degree review & evaluation of your conference and business model. Work with conference organizers to create an improvement plan that focuses on monetization, alignment with core business and differentiation through improved education, networking and attendee experiences. Provide new insight on attendance loyalty, target audience, business model, conference goals and experience differentiators. Develop succession plan for attracting next generation attendees. Develop a plan to achieve premium education programming, learning & experience design. Create a strategy for increasing sponsorship and exhibit contribution and value. Analyze and benchmark pricing and value proposition. Recommend improvements for attendance acquisition strategy. Recommendations for optimizing networking value. In person observation of the attendee conference experience. Conference has high visibility and strategic importance. Conference attracts 1,000 people or more. Premium offering with registration fees $500+. Attendance or revenue are flat or declining, or an emerging opportunity for aggressive growth exists. 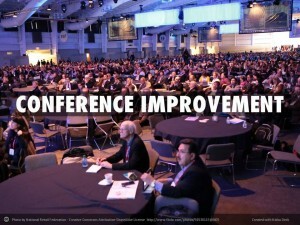 Organization has executive support for conference improvement.